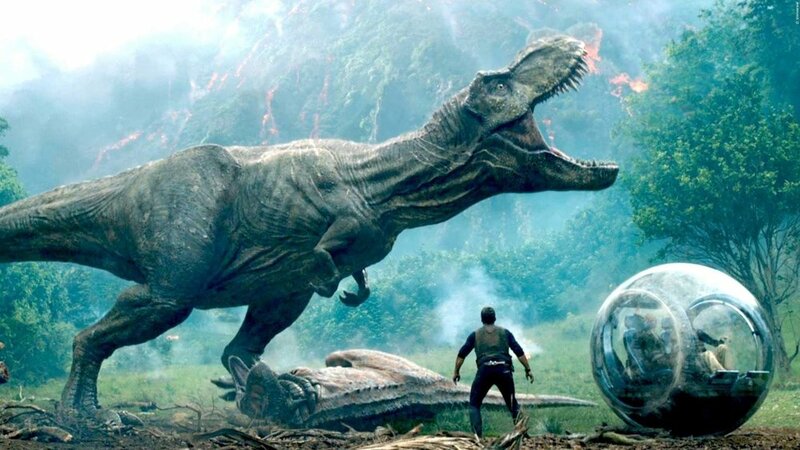 Jurassic World: Fallen Kingdom, also known as Jurassic World 2, or Jurassic Park 5, is a new movie that has made over a billion dollars. This movie stars Chris Prat, James Cromwell, Bryce Dallas Howard, and a raptor named Blue. Pratt returns with his signature clicker to usher the way for these benevolent dinos to rule the world again. That T-Rex that was such a bad boiii in J. Park Uno is now pretty heroic, continuously saving the day alongside a new host of hilarious dinos, including one that rams things with its head. Join us for this return to snobbing form where we entertain the thousands of questions surrounding these dino films, including, but not limited to: the ethics of human cloning, capitalism and the 1%, John Hammond, feminism, British people, and that whale dinosaur that eats everything. We are thrilled you are joining us once again at this eternal table of snobbery, and we wish you good tidings as velociraptors threaten to break into your suburban home and eat you. Praise be. Praise be.